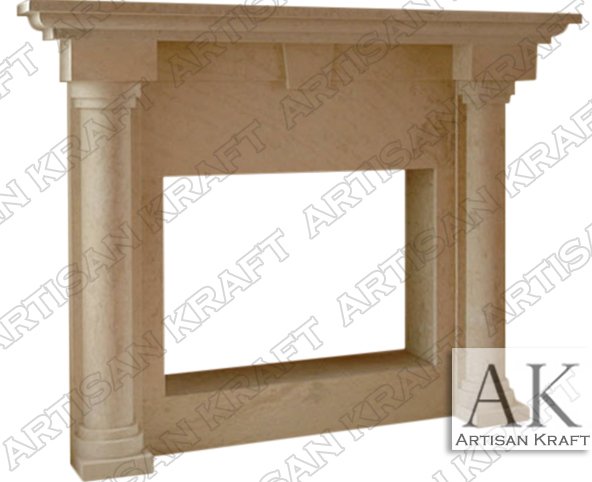 The Colonial marble fireplace has columns and is a traditional mantel. 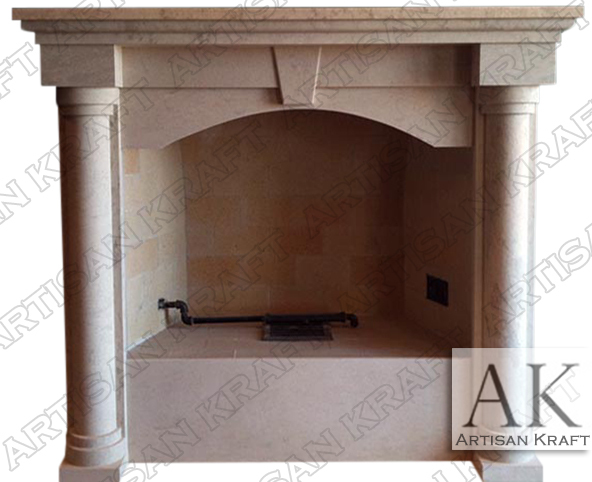 It can be made from cast stone or natural stone including marble, limestone, sandstone or travertine. A keystone can be added to mantel shelf or right above the firebox opening. Easy to install marble fireplace. Simple and great for any size room. The raised hearth is an additional charge. The inner panels are included in the price. Typical Dimensions: 60″ wide x 50″ high *to other dimensions. Materials: Limestone, cast stone, GFRC, limestone, sandstone, marble etc.